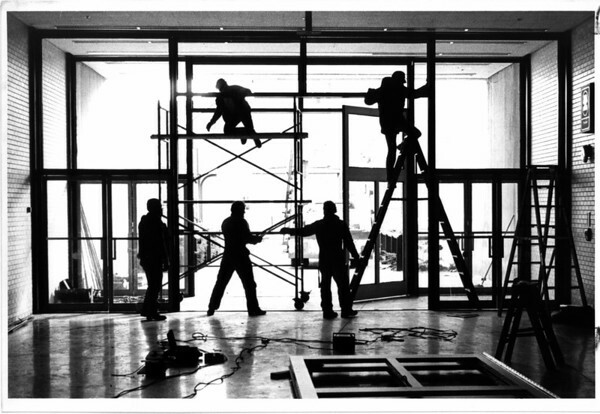 Workman from American Glass and Mirror Company of Niagara Falls are installing larger doors at the South end of the Niagara Falls Convention and Civic Center to allow large boats to use the front lobbyduring the up coming boat show. The $14,000.00 job was paid for by the boat show people. Photo - By Ron Schifferle - 1/23/1986.